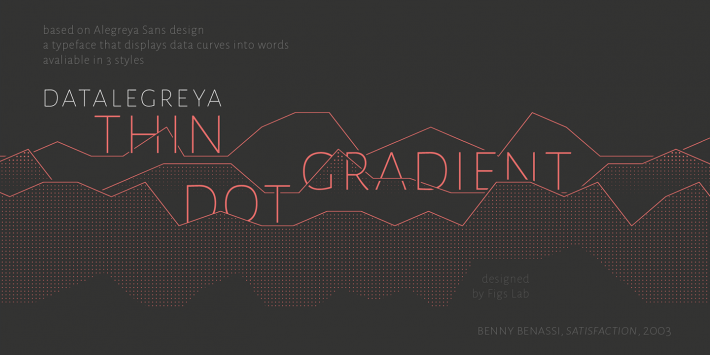 Datalegreya is a typeface which can interweave data curves with text. 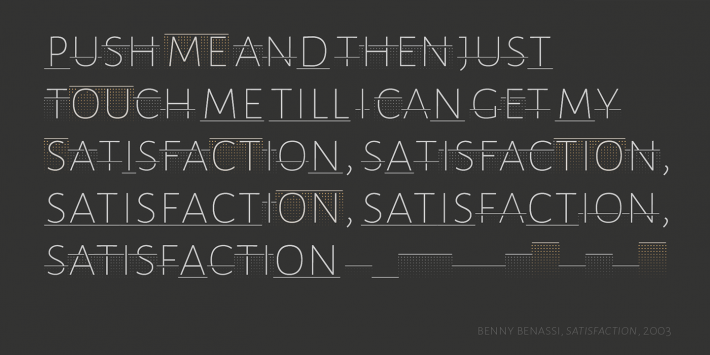 It is designed by Figs, on the basis of open source font Alegreya Sans SC Thin by type designer Juan Pablo Del Peral. 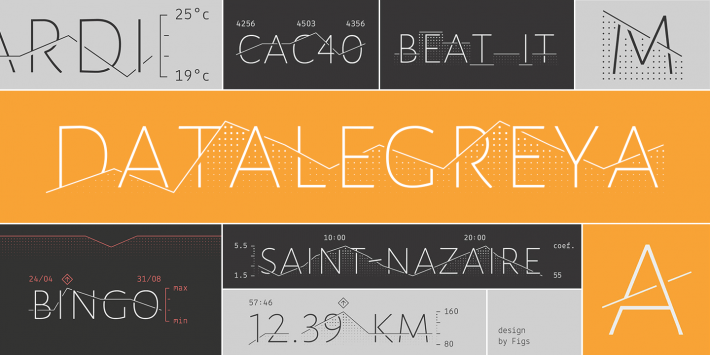 Datalegreya can be used in all contexts where small space is available to synthetically display graphical data: connected objects, embedded displays, annual reports, weather report, stock prices, etc. It doesn’t need any specialized software: users just have to install it in the operating system and launch any software able to display OpenType fonts, such as Microsoft Word, Apple TextEdit, Adobe Suite etc. Standards compliance makes it equally available on the web or software embedded. Most connected objects feature a small sized screen, and all of them are about data. By its hybrid design aimed at displaying text and data in compact spaces, Datalegreya brings a realistic and elegant solution to this ever growing market’s specific issues. You can test the font using the dynamic field above, or you can use our converter to mix text and digital data.